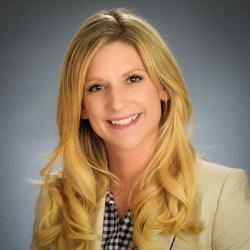 Skyline Advanced Technology Services (ATS), a leading provider of training, services, and solutions for Cisco Systems and other IT products, recently announced the promotion of Angelina Crowder to Director of Strategic Partnerships. Crowder, who has been with Skyline ATS since 2013, will now take on the company’s prime role of developing and strengthening strategic partner relationships, along with owning business functions of Cisco’s Technical Knowledge Library (TKL). “We have seen significant improvement in all areas that Angelina has been involved, particularly in the areas of strategic partnerships and professional services. She possess the rare ability to capture the intangibles of a shared vision for Skyline and convert them into quantifiable results. Angelina is an established executive with a reputation for achieving desired results over such a short period of time,” says Mike Zanotto, President at Skyline ATS. Company executives are excited about building their ongoing success and with Crowder’s continuing leadership, Skyline ATS will remain an industry leader in training, design, and implementation across all Cisco architectures, and a one-stop resource for any size of business seeking positive business transformations.